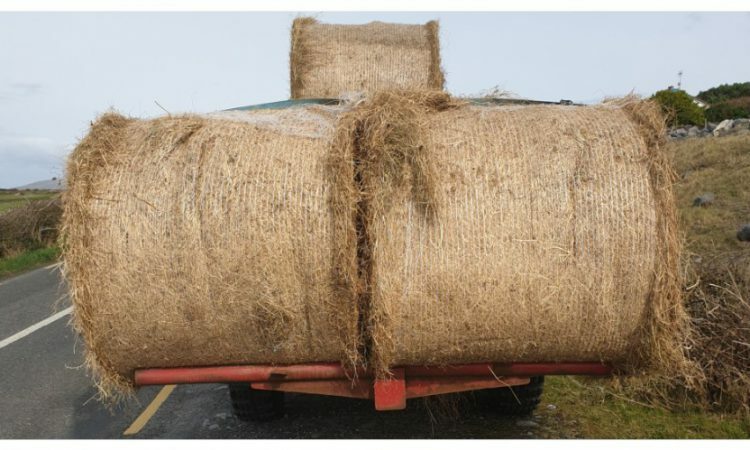 A tractor driver towing bales was landed in hot water with the law over the weekend following the discovery by Gardai of a number of road traffic offences. 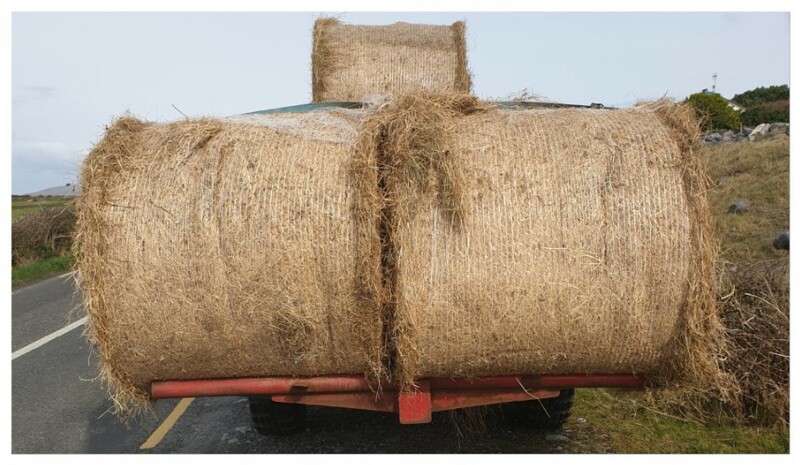 Stopped in Co. Clare recently, the driver was pulled over by Gardai for towing a load deemed to be unsecure. In addition, it was found that there were no brake lights or indicators visible from the back. On account of these offences, a court summons was issued by Clare Road Policing Unit (RPU). Taking to social media, the Garda Siochana Twitter page posted a picture of the vehicle in question, with a brief caption. load, no brake lights or indicators visible from behind and load not secured. 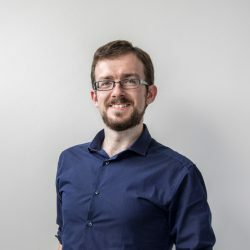 “If [a] load falls onto the road it might cause a serious crash, injury. 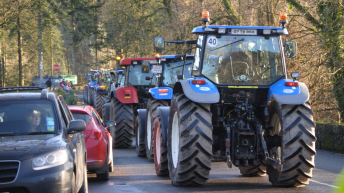 Not to mention an increase in insurance tractor seized for examination, prosecution solicitor fees, your time in court. “Securing the load would be a safer simpler solution. Fatal crashes involving trailers are too common. Motor cyclists fail to see trailers – particularly when turning.